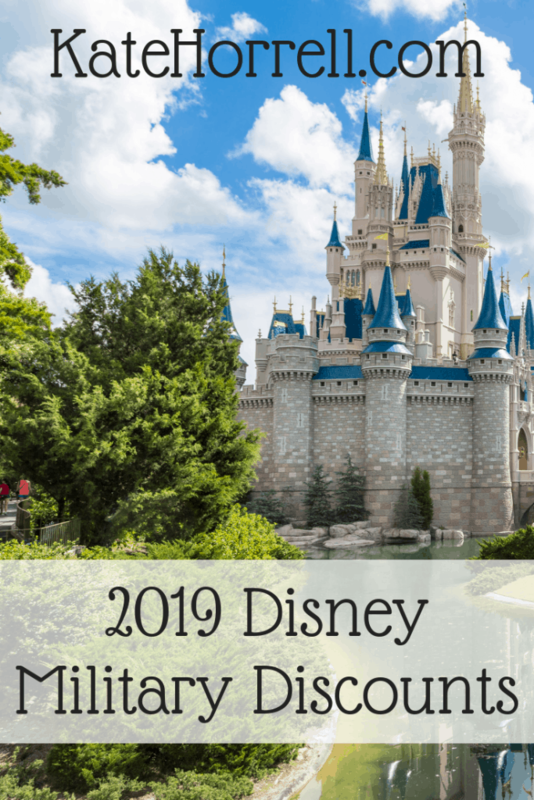 The Mouse has announced his Disney Armed Forces Salute military discount rates for 2019! Time to start planning your Disney vacation! Currently serving military members, including: active duty, reserves, National Guard, Coast Guard, Public Health Service, and NOAA. Spouses may bring their family members without the service member but it’s still tied to the service member’s eligibility – the family members don’t have their own eligibility. Retired military members including regular retired, reserves, National Guard, Coast Guard, Public Health Service, and NOAA. 100% Service Connected Disabled with a valid military ID labeled with the code DAVPRM. Military families may bring their non-military friends and family to join them on their Disney vacation, but the tickets may not be otherwise transferred, distributed or resold. Disney Armed Forces Salute Ticket must be used between January 1, 2019 through December 19, 2019. So far, there don’t appear to be any blackout dates for 2019. So far, no news on discounted room prices. I will update this with more information as it becomes available, but I wanted to get it out there ASAP!